The Elongated Toilet Seat Elevator works in conjunction with your existing toilet seat and lid for a less clinical look. 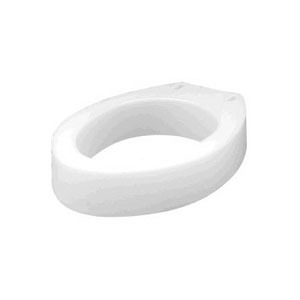 The elevator assists users with bending or sitting difficulties by adding 3-1/2" to the height of the toilet seat. Fits most elongated toilets. Adds 3-1/2" to the height of the toilet seat.